Editor’s note: As previously discussed in the BNN, scopolamine, an antagonist of acetylcholine muscarinic receptors, appears to exert rapid onset antidepressant effects in both unipolar and bipolar depression. 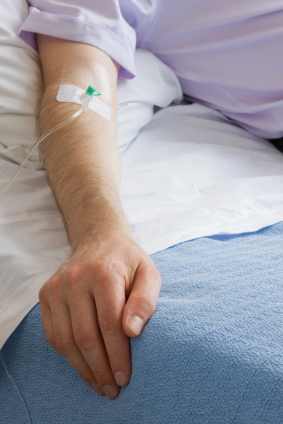 When administered intravenously it takes its place with other rapidly acting antidepressant treatments, including IV ketamine, IV thyrotropin releasing hormone (TRH), and one night of sleep deprivation. The new data indicate that both unipolar and bipolar depression can respond rapidly (i.e. within a matter of hours) to certain treatments, even though most conventionally acting antidepressant modalities can take weeks to achieve maximum antidepressant effects. We’ve suggested before that ketamine is ideal for use in emergency rooms during suicidal crises. Scopolamine’s potential role in clinical therapeutic strategies remains to be established, although the possibility exists that like ketamine, scopolamine could be used acutely and then followed up with a slower acting antidepressant modality for longer-term results. Some clinicians (mostly in Europe) have tried to extend the antidepressant effects of one night’s sleep deprivation using lithium, antidepressants, or a circadian phase manipulation. In a circadian phase manipulation, a patient goes to sleep at 6pm and awakens at 2am on the first night after sleep deprivation, then sleeps from 7pm to 3am the second night, 8pm to 4am the third, and so on until a normal sleep cycle is achieved. Because response to scopolamine can be measured after just one administration, it would be relatively easy to eventually identify neurobiological predictors that particular patients may or may not be likely to respond to this treatment. However, a successful follow-up treatment to sustain the response still remains to be identified with further research.